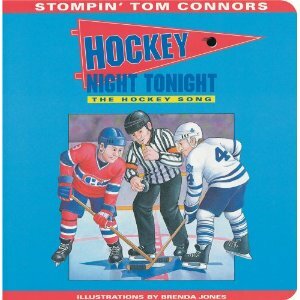 This picture book is an illustrated version of Stompin' Tom Connors's famous song. The illustrations depict a game between the Montreal Canadians and the Toronto Maple Leafs watched both from home on the television and at the arena. Stompin' Tom Connors and Brenda Jones are both from Prince Edward Island, where this book was published.